What sort of problem are we facing at the present moment? Living in New Orleans, I have faced many moments of crime in my city from multiple shootings a day to robberies and so on. Every day, I wake up to a lively city with parties all over, parades galore, more food than I can stuff my face with, beautiful music, and so much more than the heart can desire until all the happiness is washed away when I turn my tv on Channel 9 at 9 p.m. where there are reports of a new person going to jail or a different shooting. 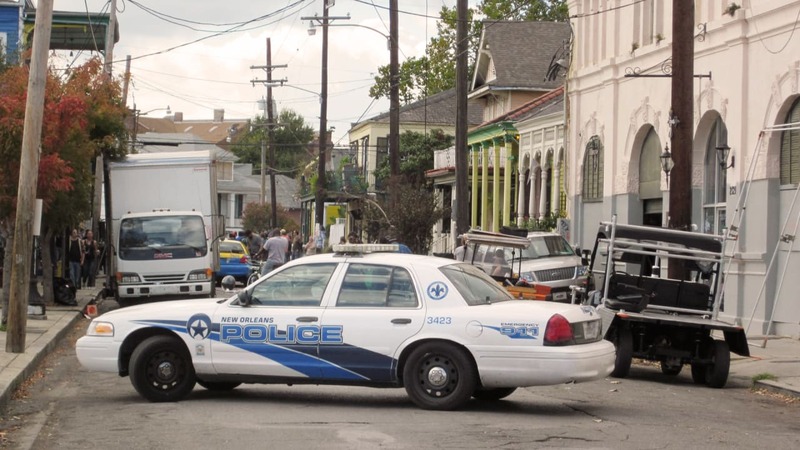 I constantly ask myself: “Where does the fun go and why does this constantly happen?” The truth of the matter is that there really is NEVER A DULL MOMENT and the fun just cannot last, no matter what New Orleans citizens do to prevent violence. So far this year, what does our murder amount look like? According to nola.com, there have been 50 murders already in the city of New Orleans for the year of 2018, but this amount will continue to grow as the year progresses. Check out this website to view the chart and names: http://www.nola.com/crime/index.ssf/page/new_orleans_murders.html .Therefore, my composition for my Music Theory and Digital Composition class is a call for help against violence and for a possible solution to the devastation that violence, especially murder, causes in New Orleans. And greatness can not be obtained. This song is really important to me because it expresses feelings about how and why we should fix this crime epidemic. These problems will haunt the world if we do not put an end to the issues we experience in the city. We really have to think about ourselves and our communities because if we cannot pull ourselves together first there is no way that the world can become more peaceful. Life becomes hard to live when people cannot get along; therefore, it takes everyone in communities, parishes, cities, states, etc. to go about living in a peaceful direction so that the world does not get destroyed by insanity. Some of the “Night Out Against Crime” events have traditional music according to the place where it is held. For example, the Ashé Cultural Arts Center is using drums to create music, which sets a positive vibe within the community. Some communities invite New Orleans schools, such as Martin Luther King Marching Band, to perform during their “Night Out Against Crime”. With all of these responses, it is evident that “A Night Out Against Crime” appears to be a beneficial event to the communities and neighborhoods of New Orleans. Since people like these events so much, there could possibly be a creation of more of these events throughout the city during multiple times of the year. Therefore, there can be more connectivity between neighbors and families, which will make a happier world. I like your presentation, Brice. I often think about the many, many responsibilities that the police department has in my city, and that it would be beneficial for community relations to come together in events like Night Out Against Crime.